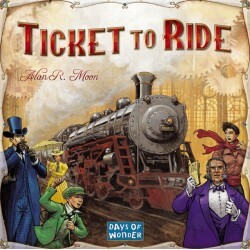 ""The rules are simple enough to write on a train ticket – each turn you either draw more cards, claim a route, or get additional Destination Tickets,"" says Ticket to Ride author, Alan R. Moon. ""The tension comes from being forced to balance greed – adding more cards to your hand, and fear – losing a critical route to a competitor."" 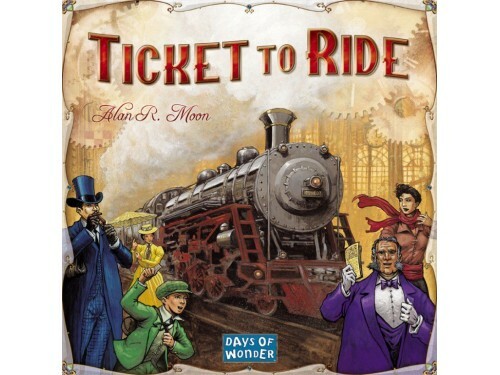 Since its introduction and numerous subsequent awards, Ticket to Ride has become the BoardGameGeek epitome of a ""gateway game"" -- simple enough to be taught in a few minutes, and with enough action and tension to keep new players involved and in the game for the duration. Un joc usor, cu cateva reguli care merge de minune atunci cand vrei sa joci ceva mai "light". The World's Fair of 1893 in Chicago was a spectacular international exhibition that showcased ma..